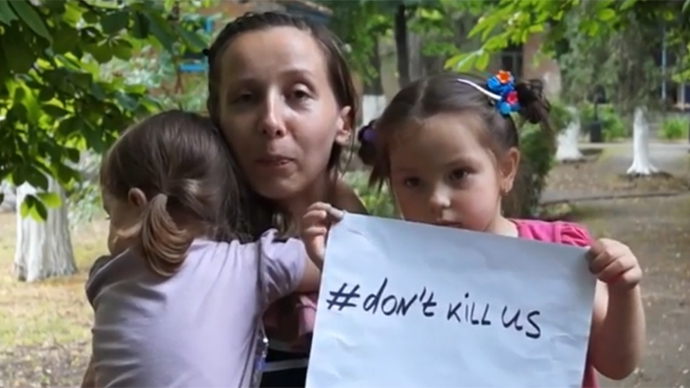 Refugees who fled the turmoil in Eastern Ukraine made a video plea, where they hold a poster with the hashtag #DontKillUs, urging the Kiev government to stop military assaults in the area. Women and children that have been sheltered in a children’s summer camp Dmitriadovsky in Russia’s southern Rostov Oblast appear in the 5-minute video asking Ukraine’s newly elected President Petro Poroshenko to stop the killing and withdraw Ukrainian troops. Each of their messages asks the president to let them live and ends with a plea not to kill any more of their relatives. The hashtag took the Twitter stratosphere by storm. Overall about 20,000 women and children from Ukraine’s southeast have crossed the border into Russia’s Rostov Region in the last three days, according to regional authorities in Rostov. 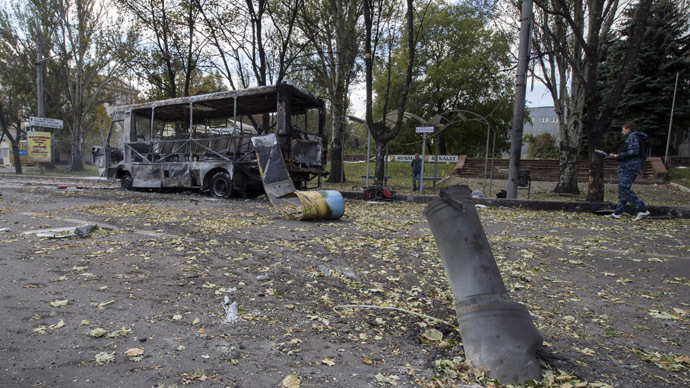 They added that at least 7,335 Ukrainian citizens have entered the Rostov Region in the last 24 hours. Refugee Victoria from Lugansk expressed her concerns for loved ones who stayed behind and expressed her gratitude to Russia for providing shelter to her and her children. Little boy Maksim uses the video message to say hi to his dad and grandparents, who are still in Lugansk. 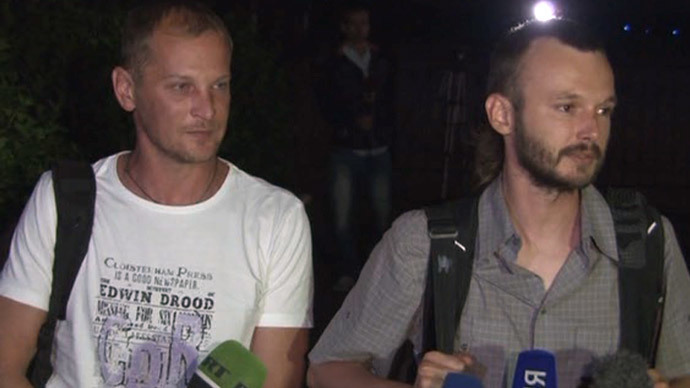 Refugee Olga called out the Kiev authorities for labeling them various names, including terrorists, while in reality they are just normal people asking for peace. Refugee Svetlana Garkavenko said she was tired of living in a war zone, adding that this situation is making the children suffer.